"Vivid, fast and funny . 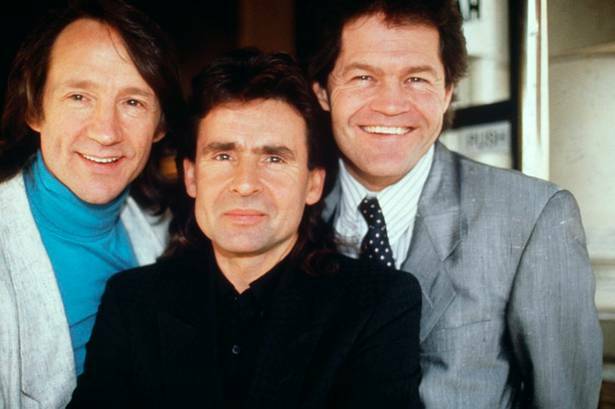 . . the prefab three were definitely back with a vengeance, and left the audience applauding loudly, waving their arms, tapping their toes and making enough noise to drown out the PA system. We were definitely all believers last night." 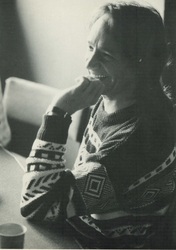 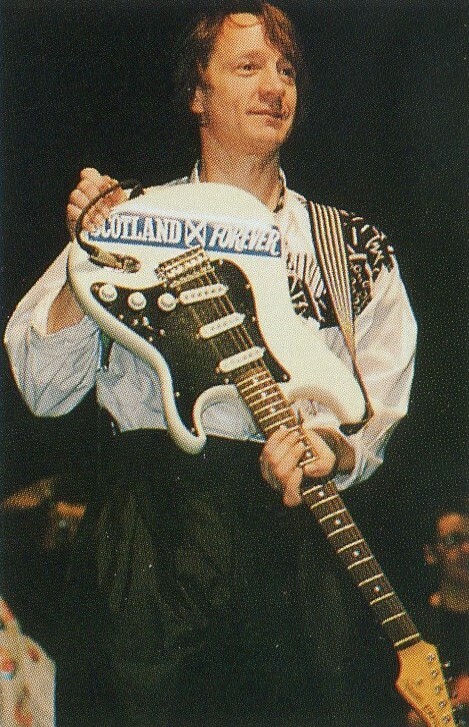 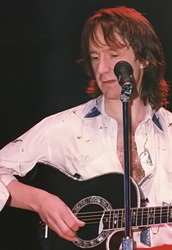 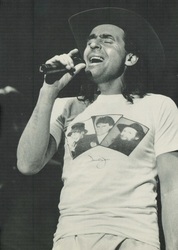 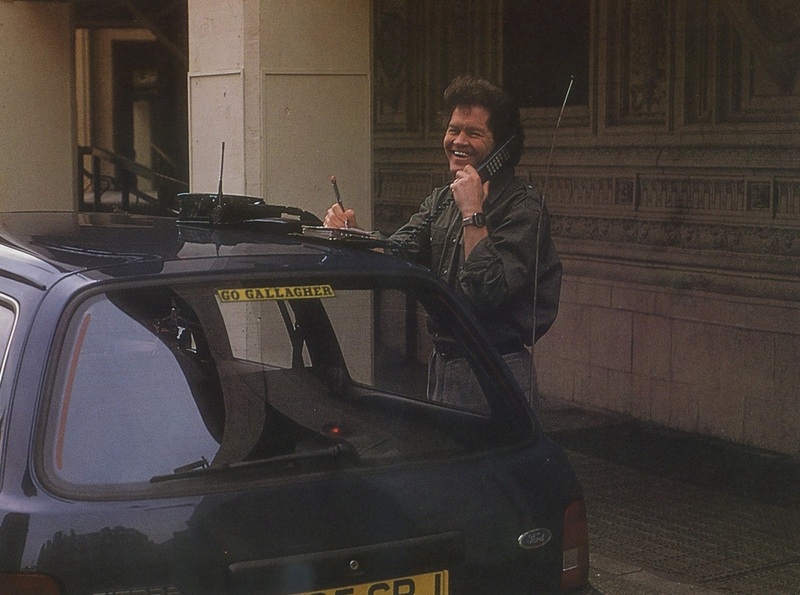 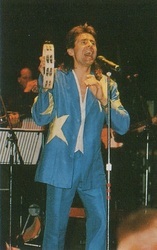 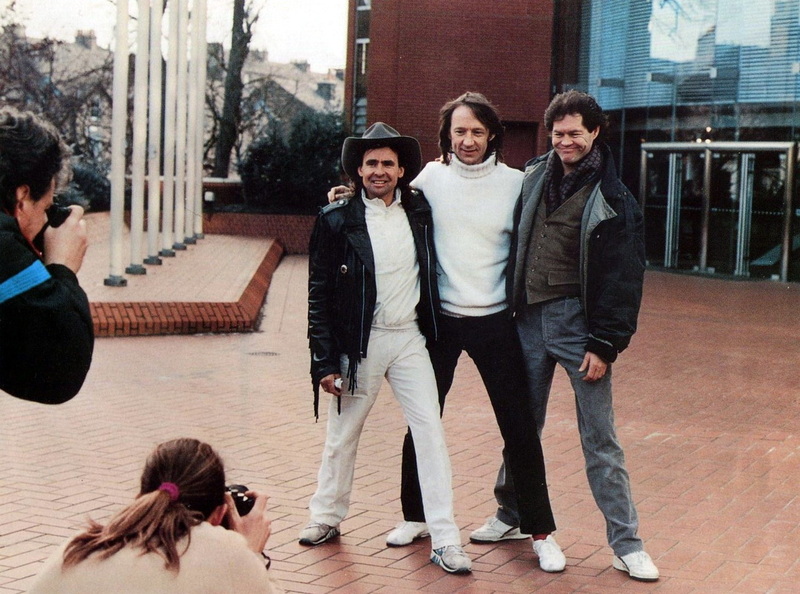 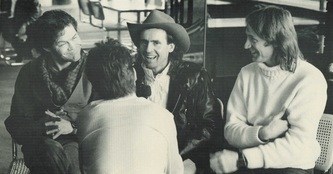 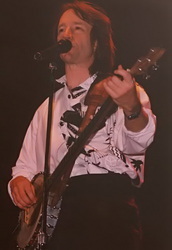 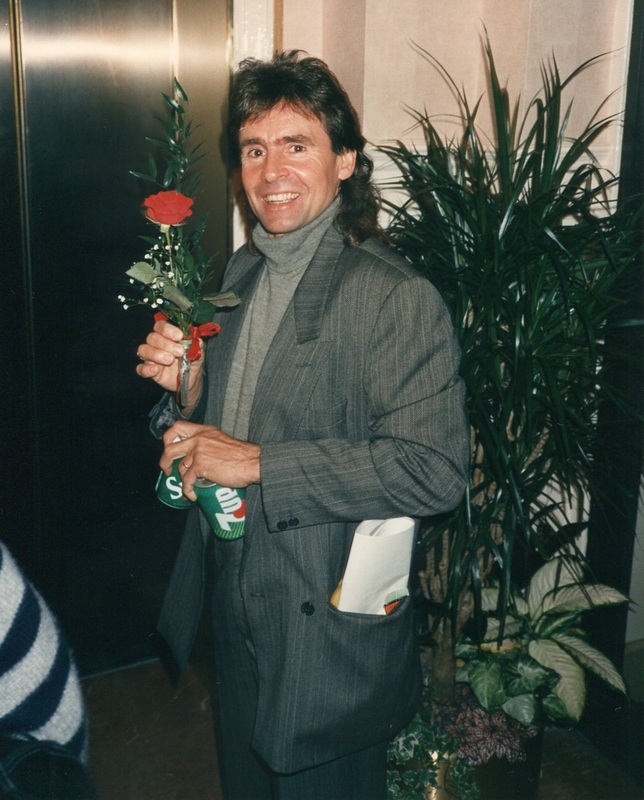 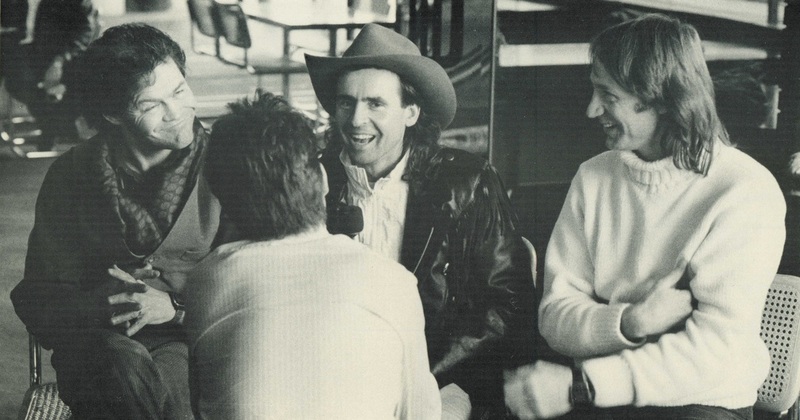 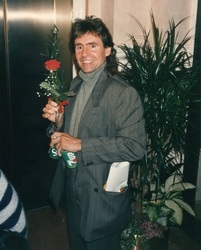 Davy’s solo song “Manchester Boy” was played during the acoustic set on April 8, 1989 in Manchester, England. 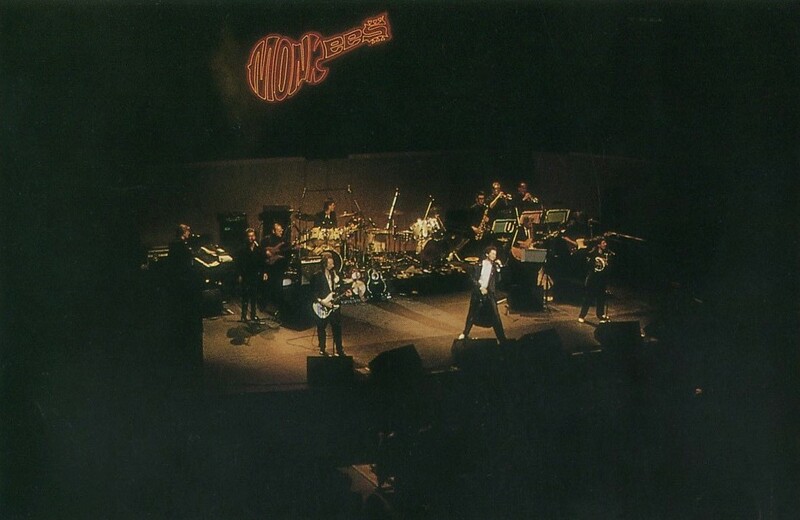 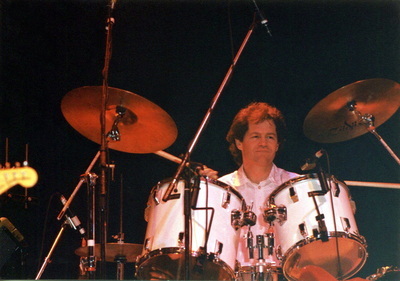 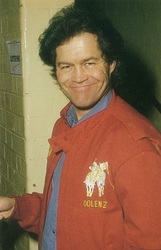 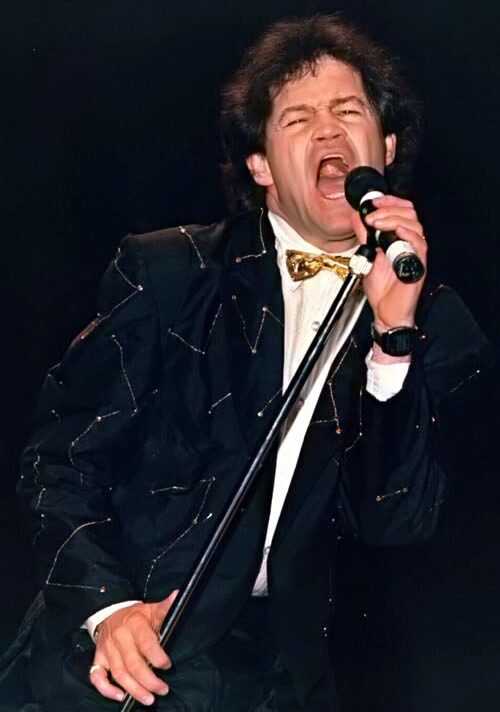 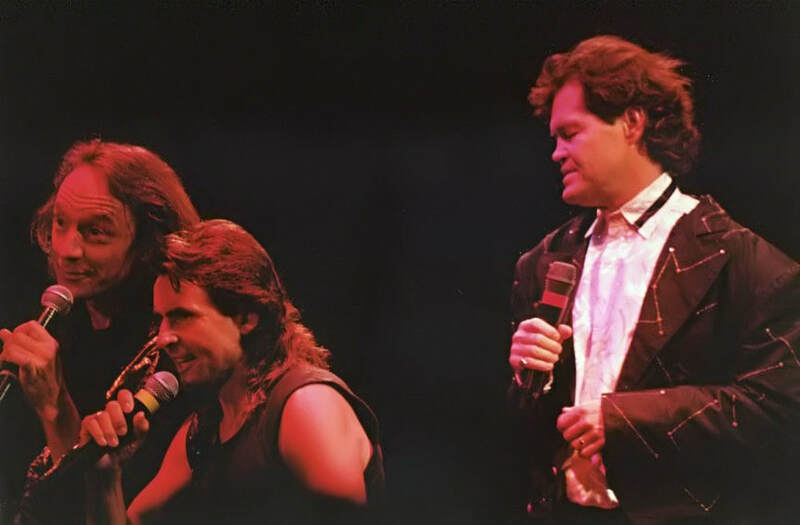 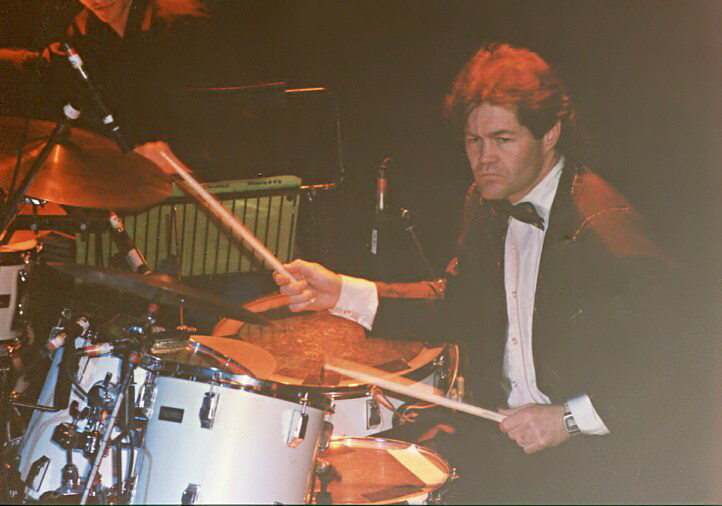 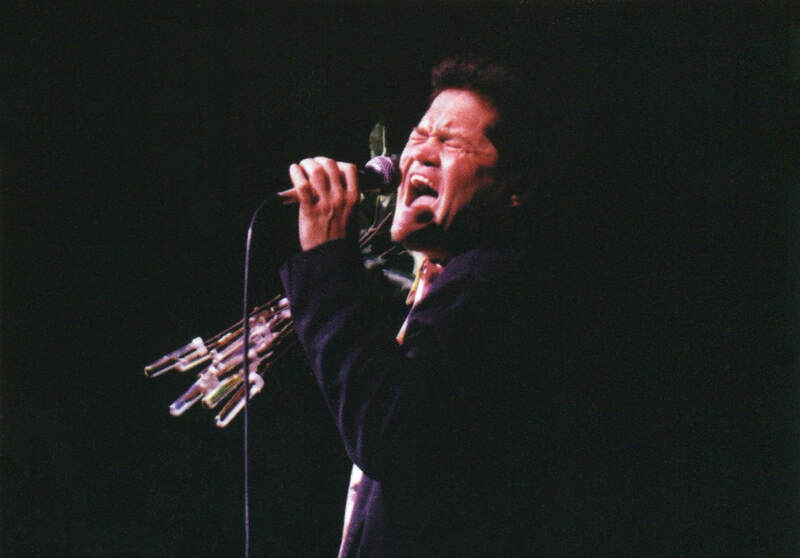 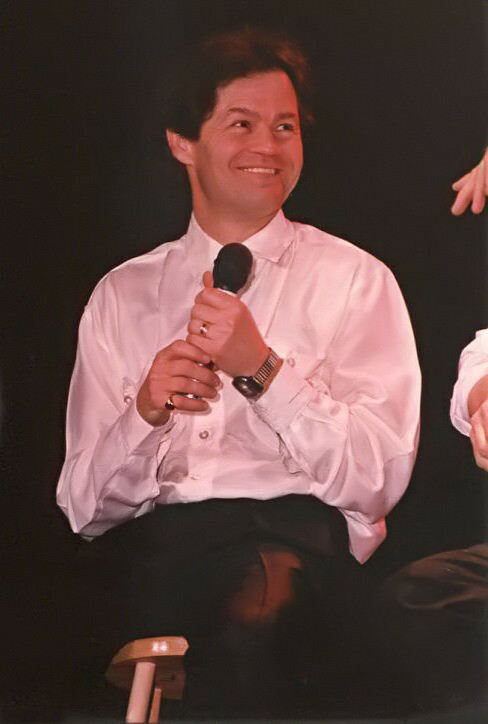 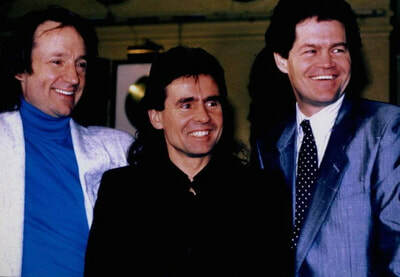 At the April 24, 1989 Reading, England show, “You and I” (Dolenz, Jones, Boyce & Hart version) was performed. 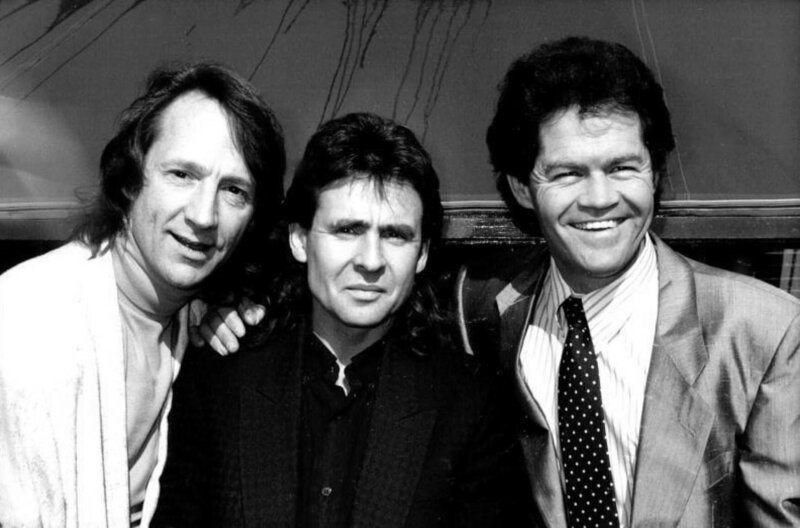 ​The Monkees’ first visit to Europe since 1967 brought a sell-out crowd to nearly every venue along with a huge wave of publicity surrounding their return. 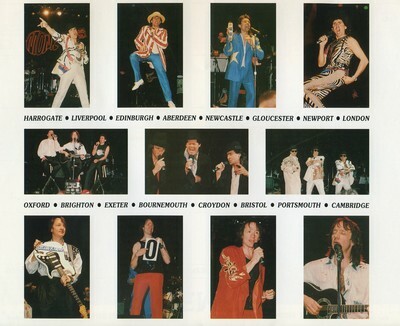 Most of the shows centered around the United Kingdom with dates in England, Scotland, and Wales. 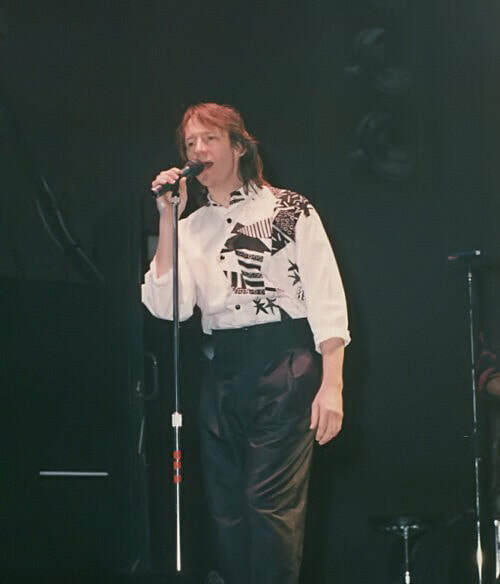 A concert was also held in Amsterdam, Holland on April 21, portions of which were broadcasted live on European radio. 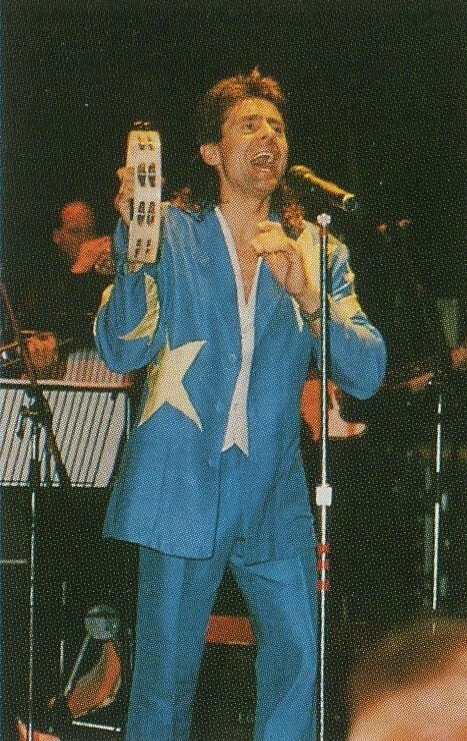 (The Amsterdam show was also filmed and later screened on Holland television in May.) Demand for tickets was so high that extra cities were added to the schedule and matinee performances were tacked onto several venues, including the Royal Albert Hall in London. 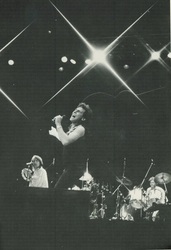 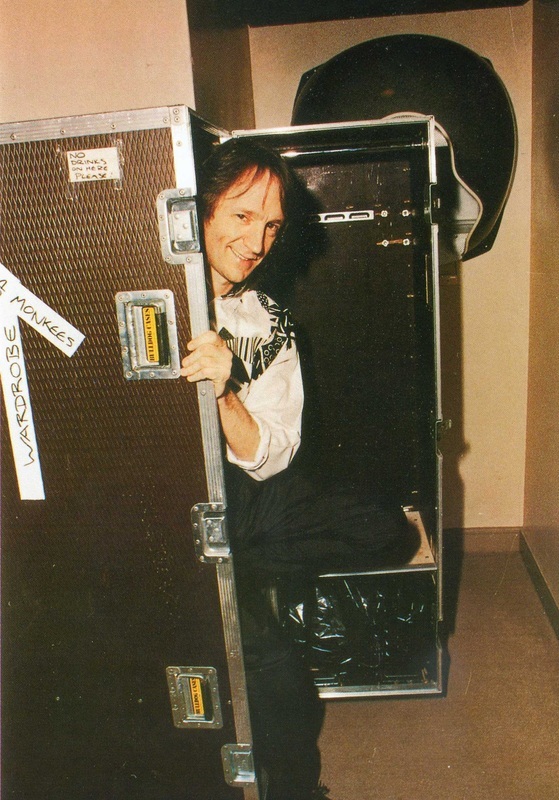 There were offers and subsequent discussions of extending the tour into Ireland and other parts of Europe during May, but the band decided to take a break before the planned summer tour of North America and Japan. 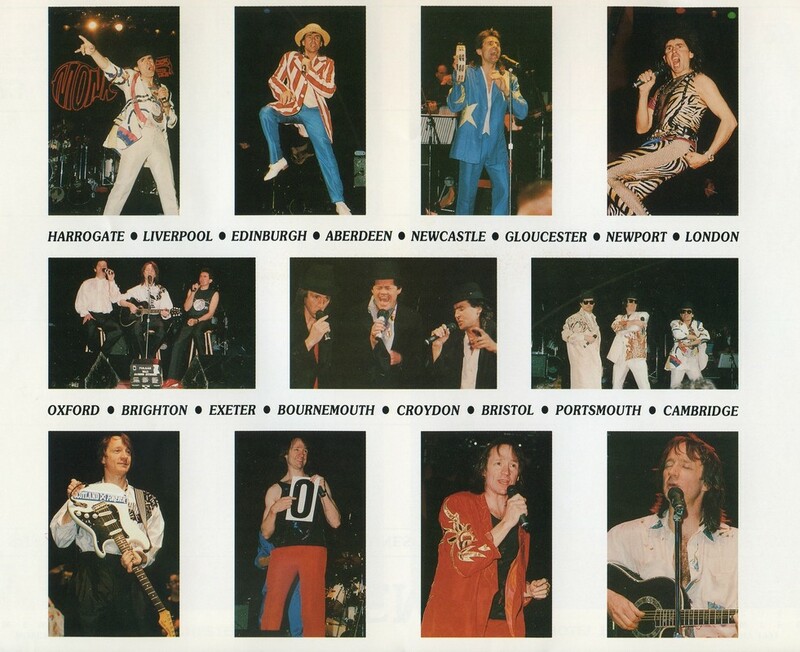 ​The tour kicked off with a press conference at London's Hard Rock Cafe on March 8. 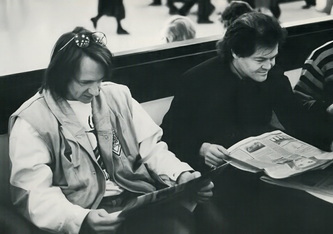 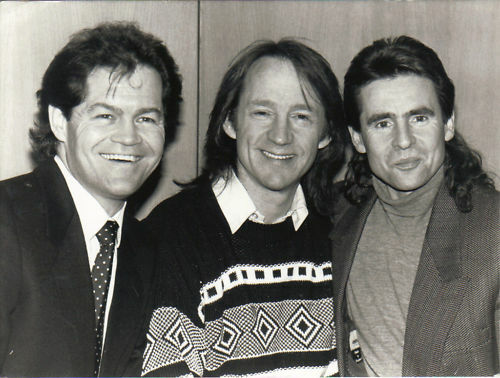 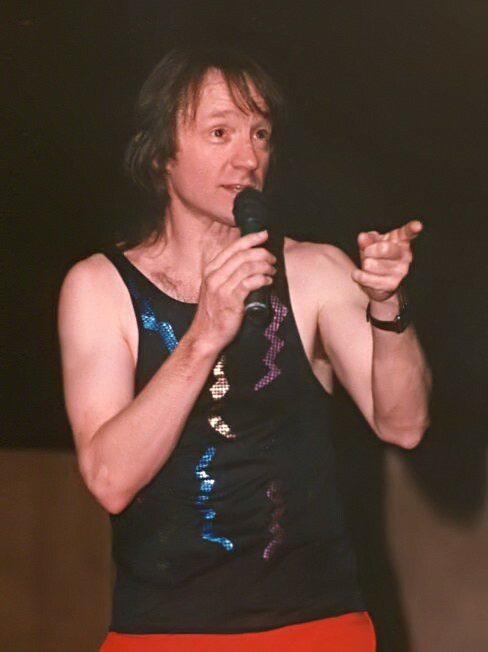 The Monkees undertook an exhaustive publicity campaign prior to and during the tour, making appearances on several British talk shows. 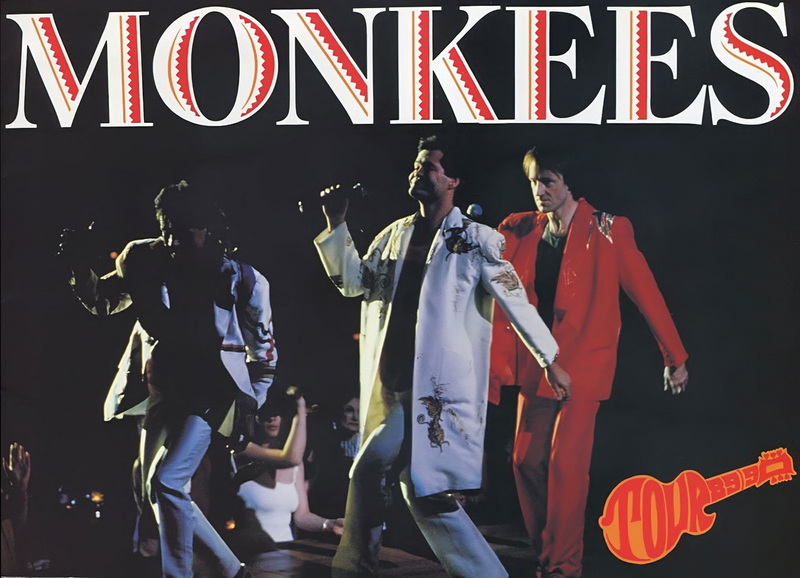 Amongst other things, UK record label K-Tel released the album Hey, Hey, It's The Monkees Greatest Hits which jumped to #12 on the British charts and sold over 100,000 copies, spurred by a massive TV and radio campaign. 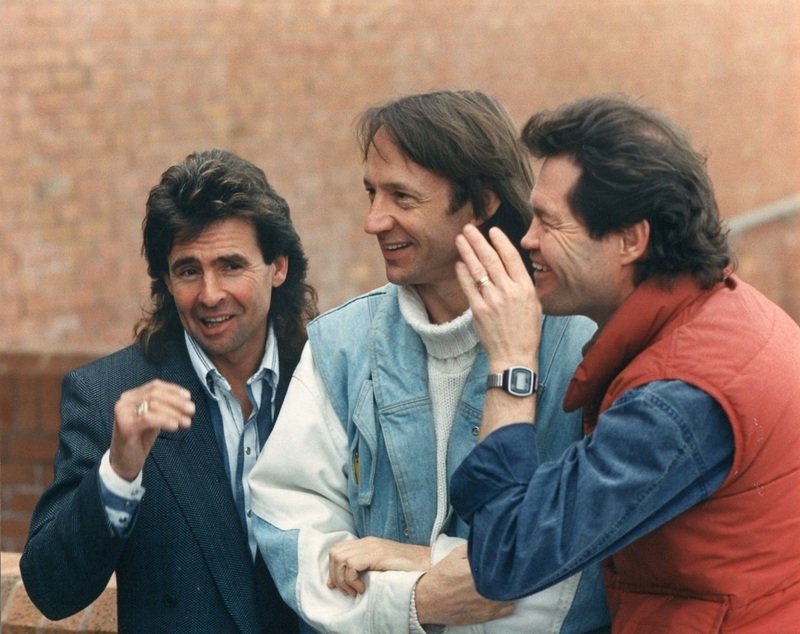 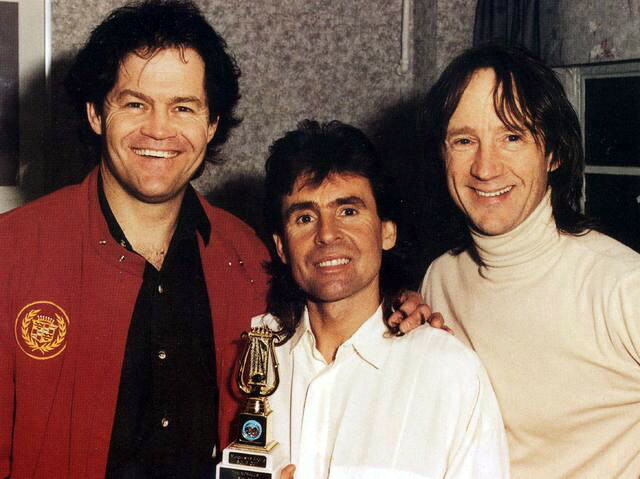 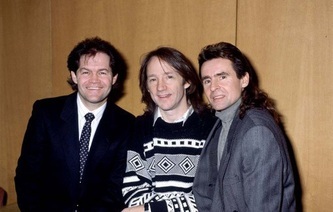 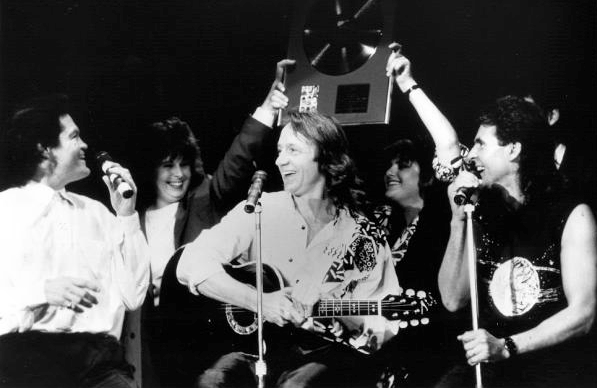 The album went gold, and The Monkees were presented with a gold record at the final show in Reading, England on April 24, 1989. 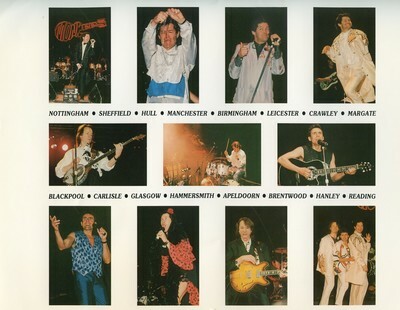 The shows in Europe combined some of the elements from the 1986 and 1987 North American tours along with some fresh additions. 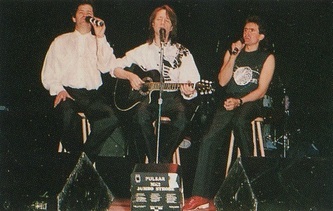 A well-received acoustic set was added, featuring Peter on acoustic guitar. 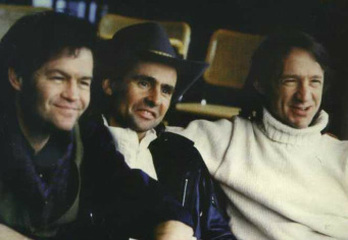 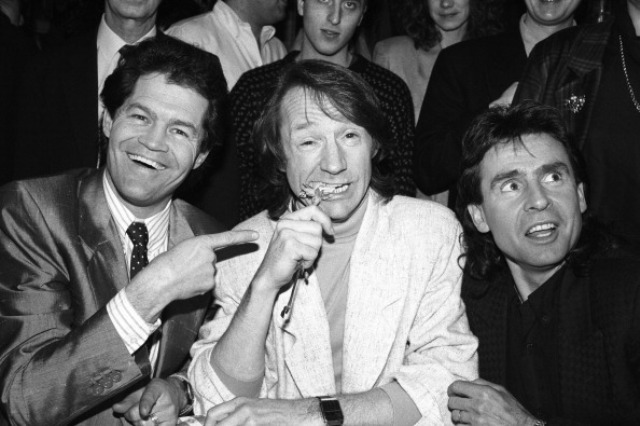 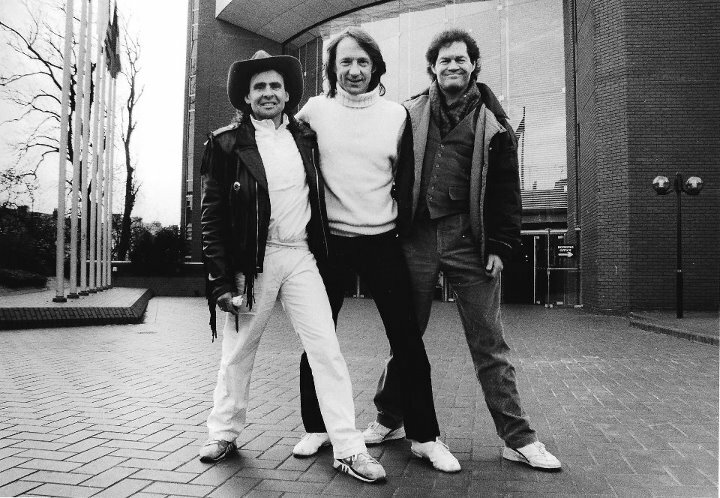 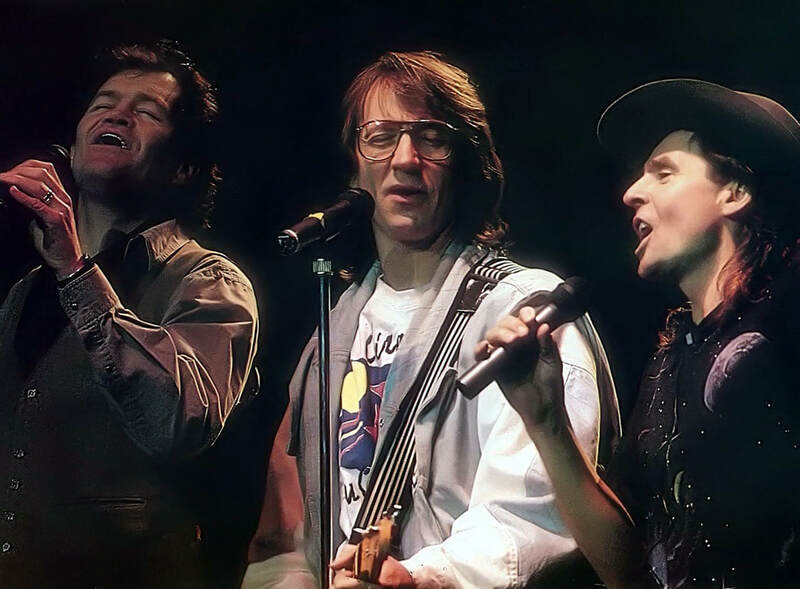 Micky played the drums often, Peter switched back and forth between rhythm and lead guitar, keyboards and banjo, and Davy played the tambourine and maracas. 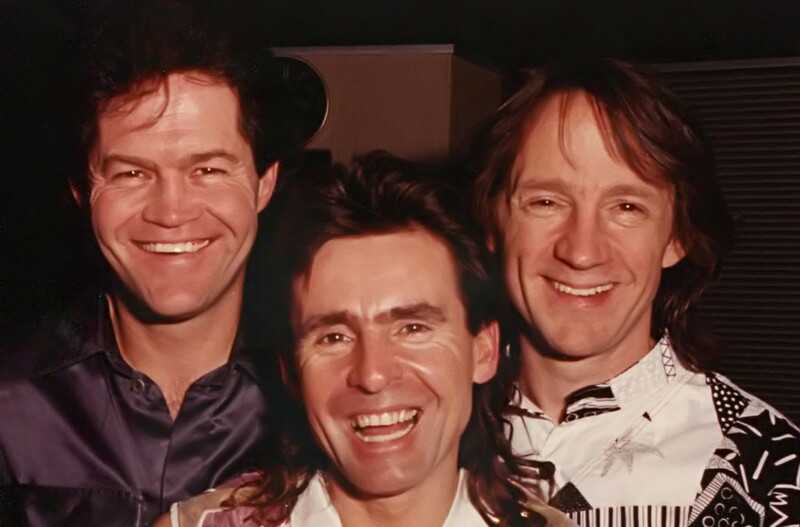 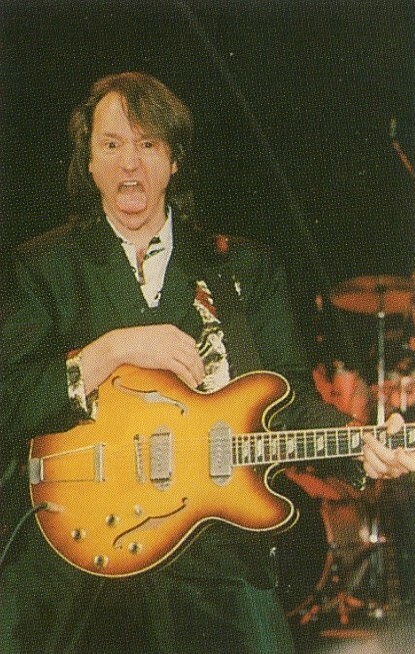 A new band was chosen to support the trio and consisted of Doug Trevor (rhythm guitar, who was also a member of The Cherokees, the group that opened for The Monkees in Australia in 1968), Glynn Evans (bass), Frankie Hepburn (guitar), Martin Wilde (drums), Mark Hayley (keyboards), Lawrie Haley (backing vocals), Mike Smith (saxophone), Noel Langley (trumpet), and Andy Bush (trumpet). 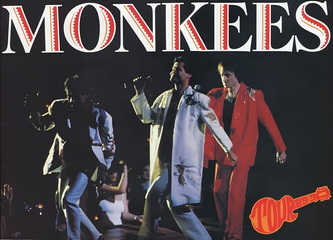 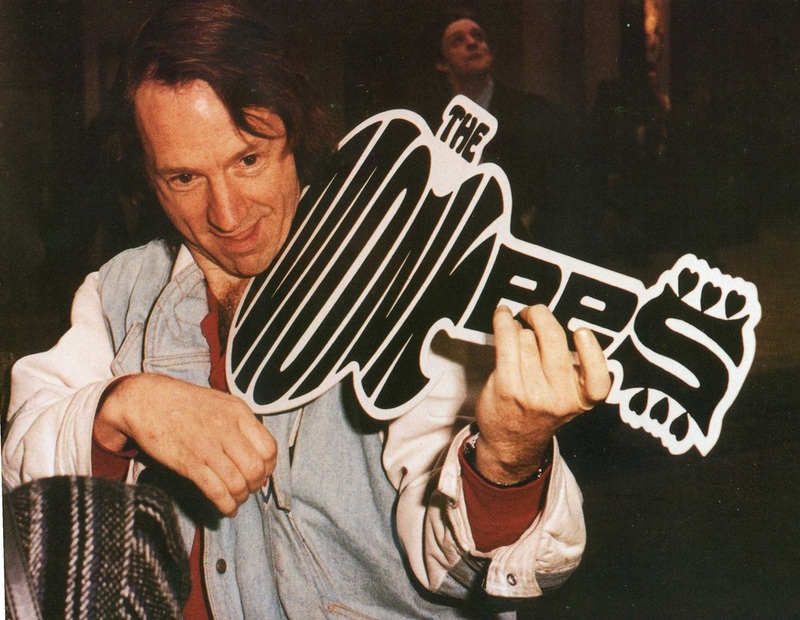 British band Seven opened for The Monkees at most dates. 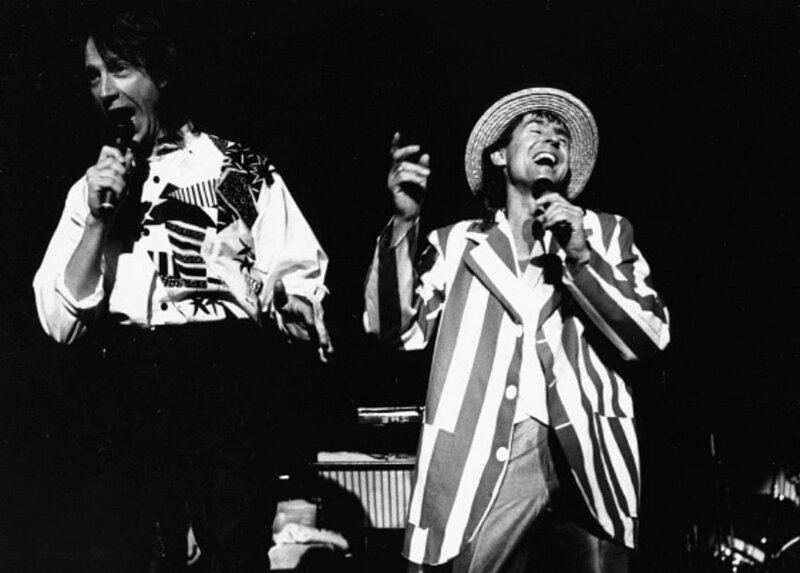 The Nesmith tribute songs in the acoustic set ("Good Clean Fun," "Papa Gene's Blues," and "What Am I Doing Hangin' 'Round?") were played at select concerts only. 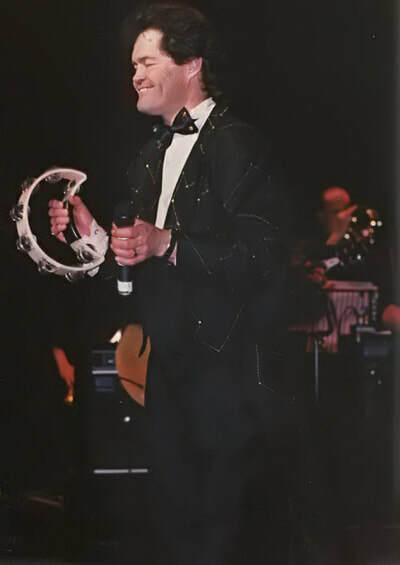 "MGBGT" and "Every Step of the Way" were added to or deleted from the set on any given night as well.